What is The Great Trump Escape? What’s so great about Sweden? Here’s the thing. We heard that more than 1 in 4 Americans would consider leaving the country if Donald Trump is elected president. not give some of those American advertising people a break?”. to find a job overseas and leave the US in case that happens. Check out Stockholm on google maps. So. Sweden. Even if you might think so, we are in fact not known for neither chocolate nor watches (although we love those too). That’s Switzerland. We are from Sweden. Here, we are more known for long maternity leaves, 5 weeks holiday and decent healthcare. There are actually lots of great things about working and living in Sweden, many of which have been shaped by people coming in from other places and cultures. If you’re interested in knowing more, we would recommend you to read more on Sweden’s official website. 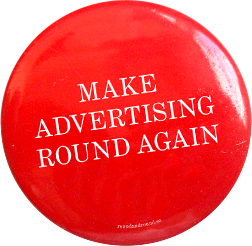 What you won’t be able to read there, though, is about our agency, Round & Round. Which is weird, because you would think we are important enough. But apparently we aren’t. We love round tables. Everyone can talk to everyone and each person around the table has the opportunity to be heard. The round shape simply makes it impossible to place someone on the edge. That’s why we have built our organisation, our work environment and our processes on the round shape. We are the opposite of an angular, inflexible and bureaucratic agency. In the middle we have placed our boss—the creative idea. The idea is really the only thing that controls us. It is our North Star that tells us which direction we should go to reach our common goal: advertising that people engage in whenever and wherever they are. When we succeed in what we do, people will choose to take part because it makes their lives more fun, easier and better. This is how we influence people’s behaviour and that is how brands can change the world. Apart from this, we’ve also got some other amazing things going on. Like no-client-meeting-Fridays and collective Friday lunches (yes, as you can hear, Fridays here are pretty awesome). And, as if that wasn’t enough, we’ve also got an equal 50 % women and 50 % men in our staff. So, if this sounds interesting, just post your portfolio here. We will only receive it if and when Trump wins the election. But if you can’t wait to work with us after this terrific sales pitch, please contact our ECD, Andreas Ullenius, at andreas@roundandround.se and let’s have a chat straight away. Thanks for submitting your portfolio! Let’s hope for everyone’s sake that we won't get it, though (no offense!). Oops! something apparently wen’t wrong. Was it your fault, or was it ours? Try again, anyhow! 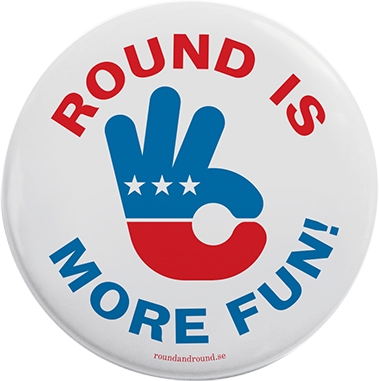 Copyright © 2016 Round & Round. We have finished going through the over 800 applications, and we have begun interviewing creatives that are of interested for the position we are looking to fill at the moment. But even if you are not among them, let’s stay in touch! Things might change in the future. We would like to thank all of you for your emotional and beautiful responses. We are sorry we are not able to help all of you escape, but we hope things will work out for the best anyway.